John G. Rutland DMD offers a full array of dental services to help you maintain healthy teeth. You can read more on this page about specific services. We offer tooth colored fillings instead of the dark mercury based fillings from years ago. The tooth colored fillings, also known as composites or resins, are bonded to the tooth making the entire tooth stronger than with the mercury fillings that are wedged into the tooth for retention. Also metal fillings expand and contract to hot and cold temperatures which cause fractures in the teeth when combined with biting pressures. The tooth colored fillings are almost undetectable and very cosmetic as well as durable. We offer several types of teeth whitening or “bleaching.” We offer in office bleacing treatments or the take home tray systems as well as a lesser expensive but very effective new bleacing strip system. You usually get your desired results in 2 weeks of daily wear. The trays are custom fitted and allow you to manage your own results at your own pace. The Sheer White strips can be placed directly over the teeth and worn to achieve desired results. The strips are the most economical means of bleaching that we offer. We will be glad to discuss which option is best for you. We offer many ways to replace missing teeth. For areas that cannot be restored with fixed bridges or implants, we offer removable partials and dentures. Partials are used when only a few teeth are missing and dentures are used when all the teeth are missing. All of our partials and dentures are custom fabricated to each patient. These procedures take several appointments because each step is planned and tried in before the prostheses are completed. We use only the top labs and materials and most cosmetic teeth for a natural looking smile and comfortable fit. A popular choice by many patients now are Duraflex partials which have no metal clasps- this allows patients to smile without unsightly metal clasp display which is a problem in older partials with metal clasps. Fear has no boundaries, it can affect all types of people. Research shows that almost 30% of the population avoids going to the dentist because of fear. There are also the patients with severe gag reflexes, those that are local anesthetic resistant, and people who cannot sit still for an extened amount of time that need a better way to complete their dental treatment. Oral Conscious Sedation offers a relaxed , safe , pain free experience. Oral Medication is taken the night before treatment and the day of treatment. The various medications offered are well known, effective and safe. While patients are never asleep, they are relaxed and completely comfortable. Dr. Rutland has had special training and achieved certification in oral sedation. Your vital signs are monitored at all times and our staff is certified in CPR. Please visit www.sedationcare.com for more detailed information of oral sedation dentistry or call our office at 256-582-5920. Invisalign is an almost invisible alternative to conventional braces. By using a series of clear, removable aligners, your teeth are straightened without notice. Invisalign is comfortable to wear and it doesn’t require you to change your busy lifestyle. The average treatment is approximately one year with monthly or bi-monthly visits to check your progression and get new aligners. You can continue to eat your favorite foods because you remove the aligners to eat. Then just brush your teeth and put the aligners back in place. Without bonded brackets it is much easier to keep your teeth and gums cleaner which decreases the risks of tooth decay and gum disease. Because the aligners cover the chewing surfaces of the teeth it also reduces wearing of the enamel while the teeth are being moved. Straighter teeth not only give a beautiful smile and more self confidence, it aids in better oral hygiene, easier cleaning appointments, improved chewing and joint problems. Since the aligners are almost invisible the entire process is less stressful and noticeable than that of conventional braces. Please visit www.invisalign.com for more information or contact our office at 256-582-5920. 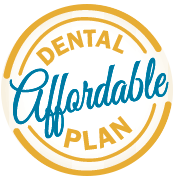 We offer advanced treatment planning and restoration of dental implants in our office. Dental implants are now the most predictable, long-lasting method of tooth replacement in dentistry. Implants can be used to restore single teeth, multiple teeth or as anchors to support partials and dentures. Many denture wearers have extreme difficulty eating and chewing that can be helped greatly with as little as two implants to help anchor the dentures in place! Please feel free to contact our office to ask about scheduling a consult to discuss implant treatment. There are truly many cosmetic options you can have done to your teeth today, from whitening to veneers/crowns and even gum contouring to eliminate the “gummy” smile. We are now able to offer you a before and after look prior to undergoing the procedure. We just take a photo and enhance it to give you a simulated result the lab or periodontist can go by while constructing your case. This will take out some of the anxiety you have over what the end result may be and if it will be worth it or not. We can also have the lab do a cosmetic wax-up of a model of your teeth which you can hold in your hand and help design your new smile. For a cosmetic consult please contact our office. Many patients have had some experience with crowns that aren’t very cosmetic or life-like. Today, we can use crowns, bridges and veneers that are of all porcelain materials and extremely life-like. These restorations transmit light just like tooth enamel and can be transparent on the edges just like natural teeth. Due to the advances in technology, bridges can also be constructed in all porcelain. In almost all cases, all porcelain crowns and bridges can be used today. We offer extractions both simple and surgical extrations of broken or badly decayed teeth in our office. Many times we will be able to accomodate emergency extractions the same day or within a short period of time if pain with the tooth is an issue. We also work with the best area oral surgeons in cases that require their expertise such as the removal of impacted wisdom teeth. We offer root canal treatment in our office using a new rotary treatment system which makes the treatment faster. We also work with the most highly trained endodontists in our area on cases that are more difficult and would be best treated by a root canal specialist.